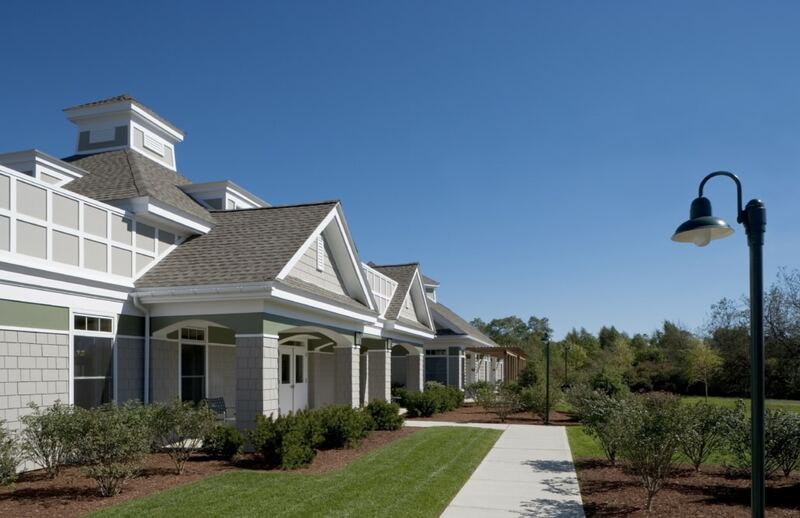 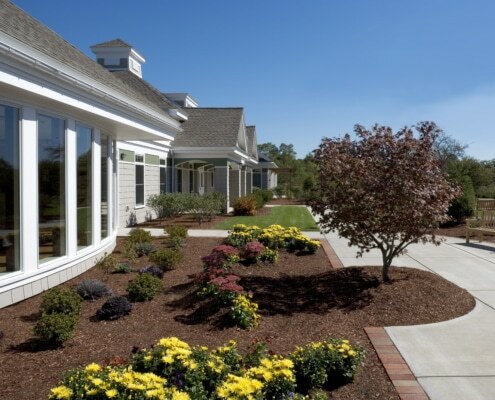 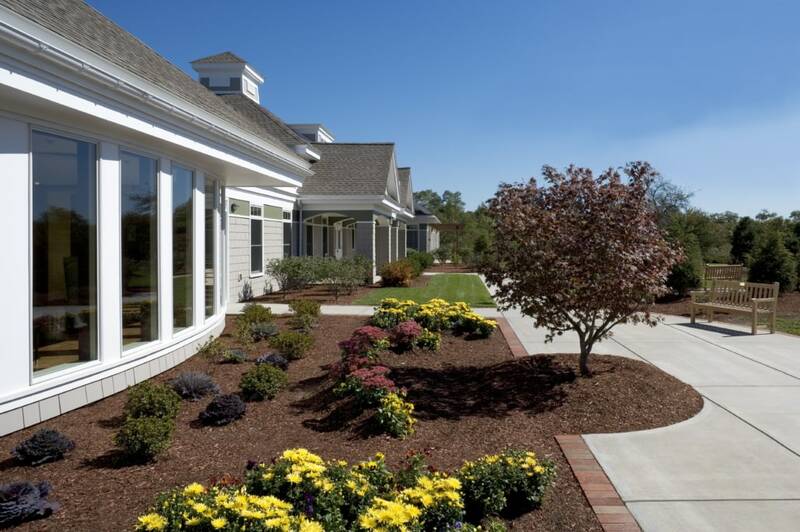 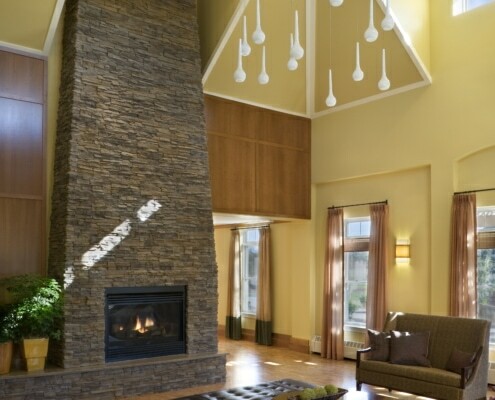 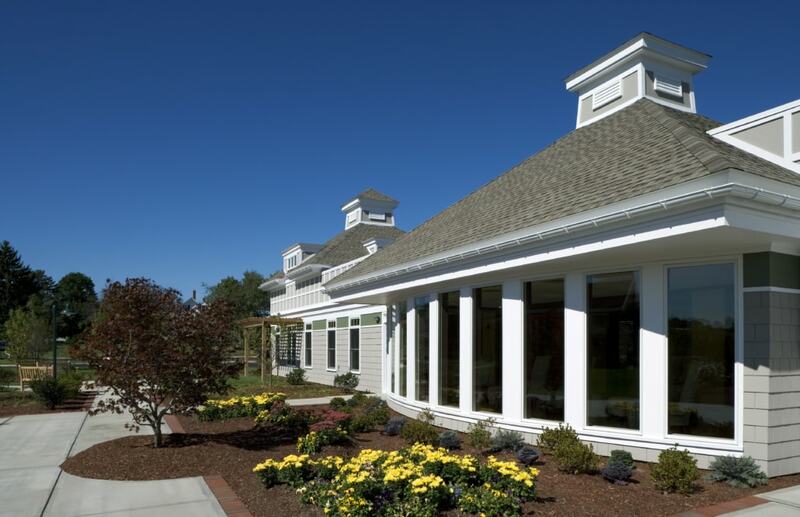 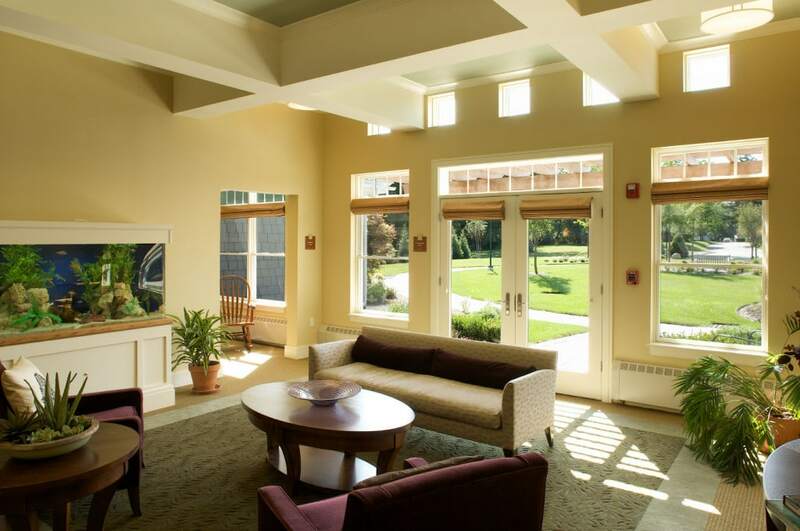 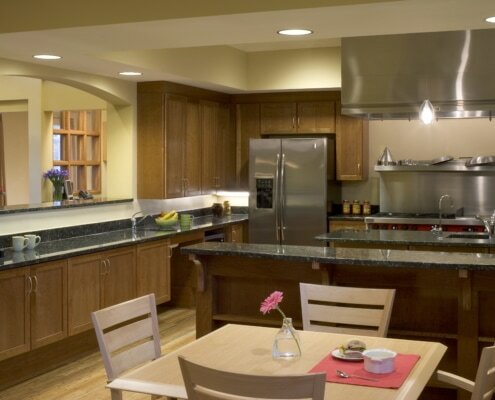 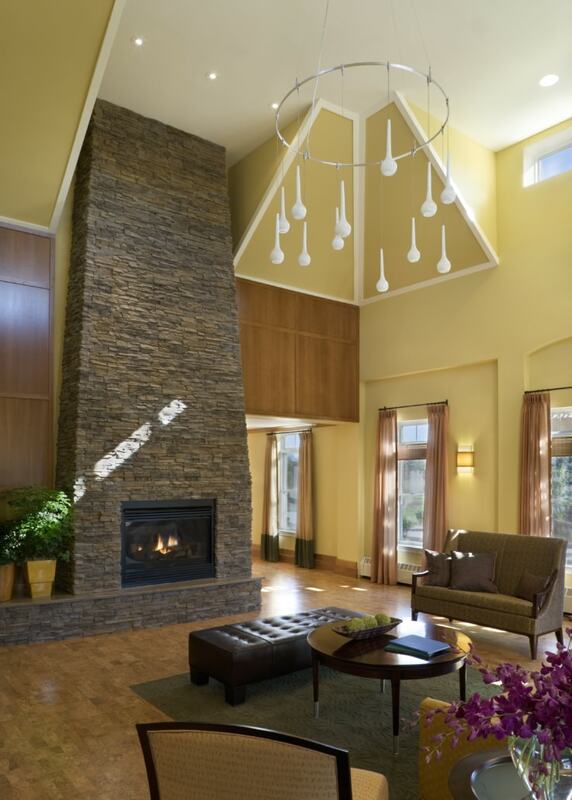 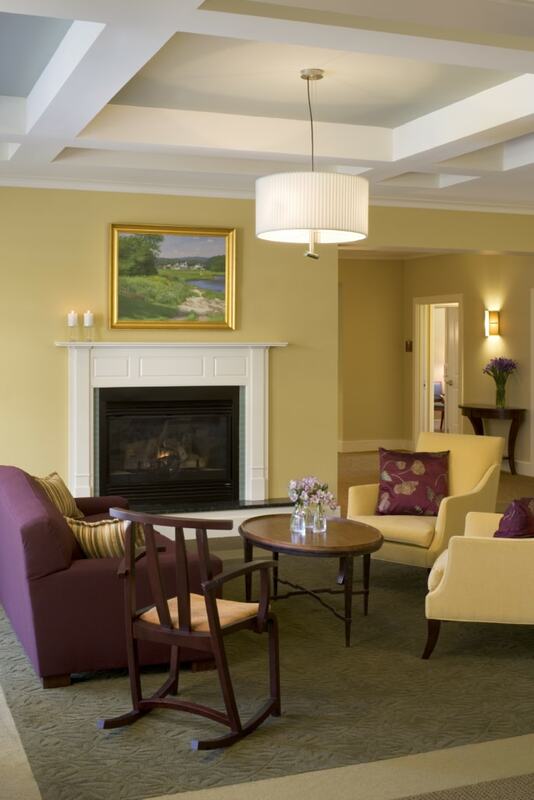 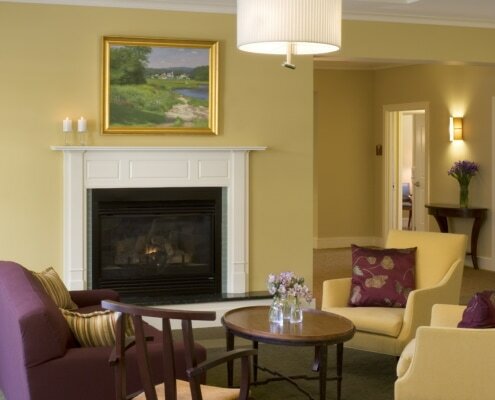 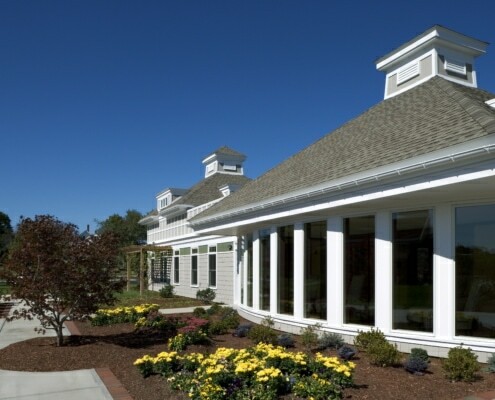 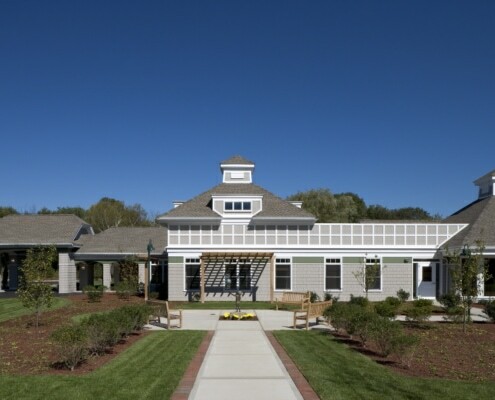 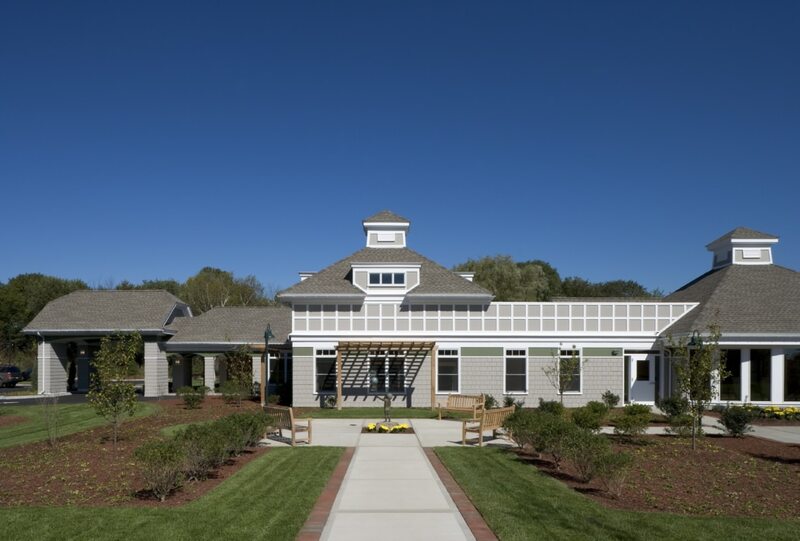 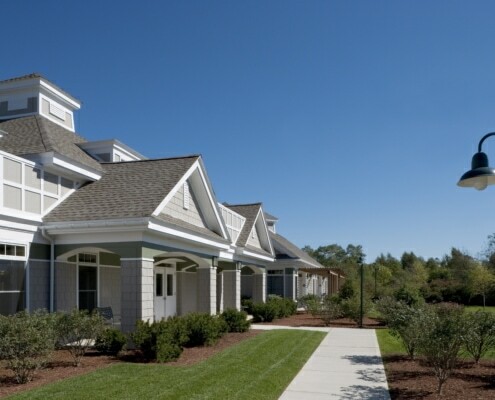 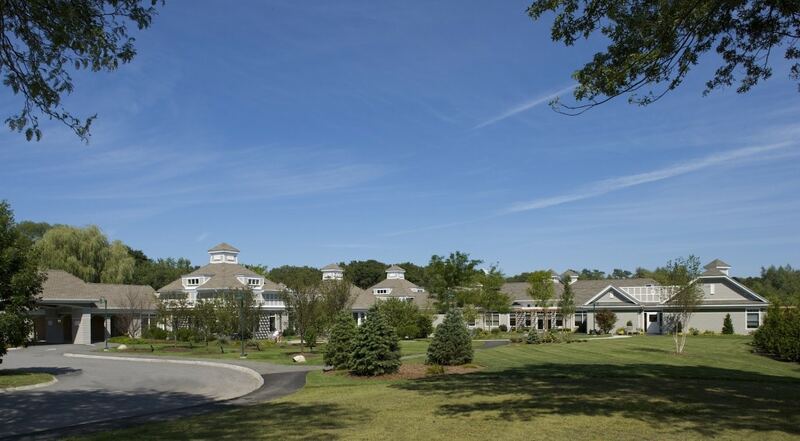 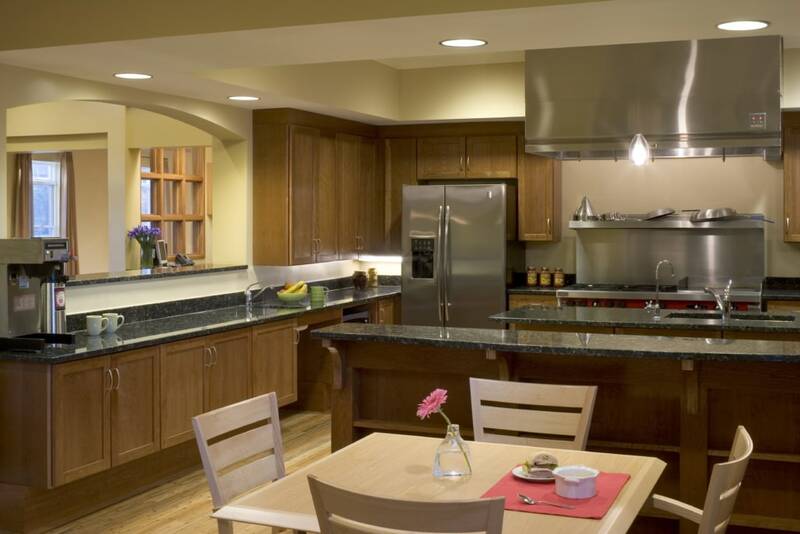 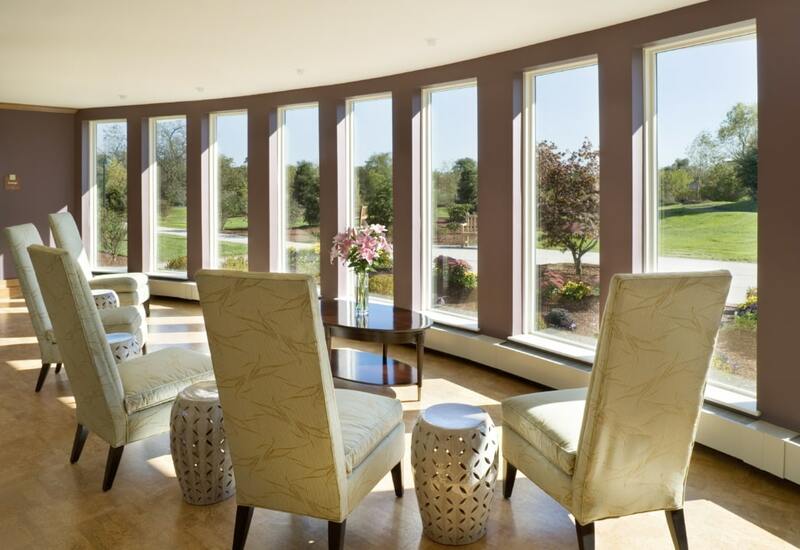 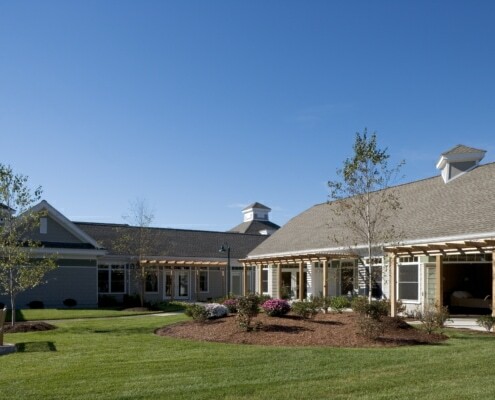 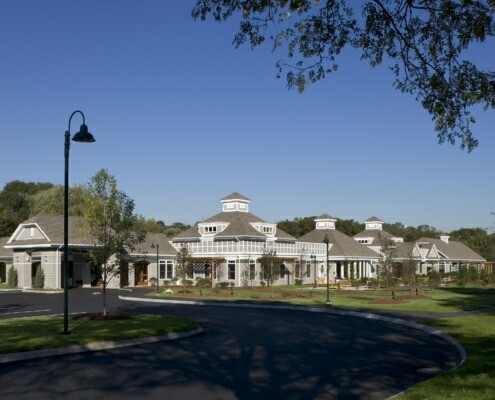 The Kaplan Family Hospice House in Danvers is a twenty patient hospice facility created for the Care Dimensions (formerly Hospice of the North Shore and Greater Boston). 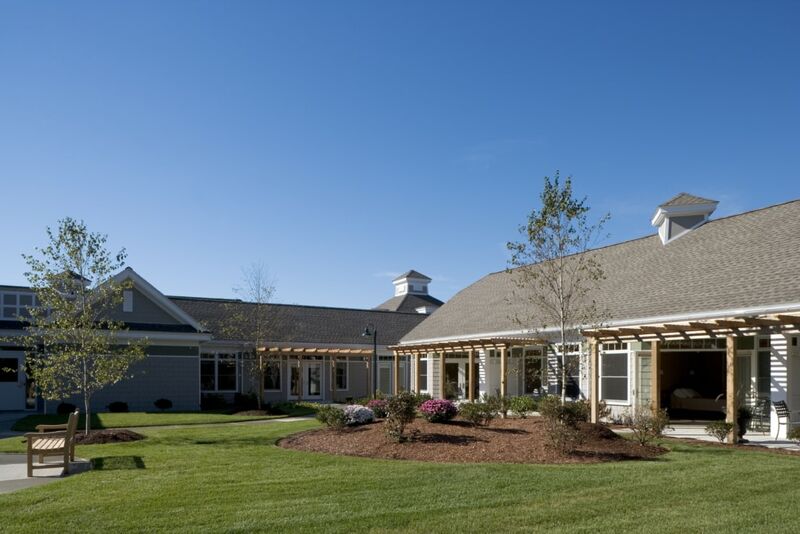 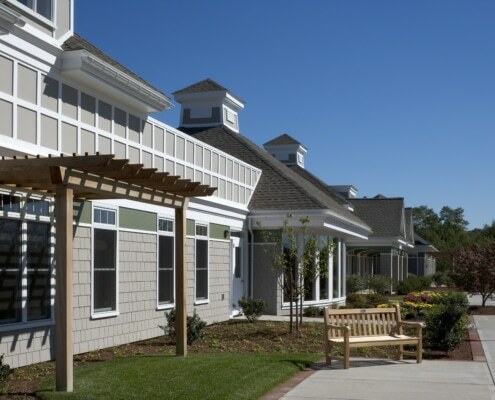 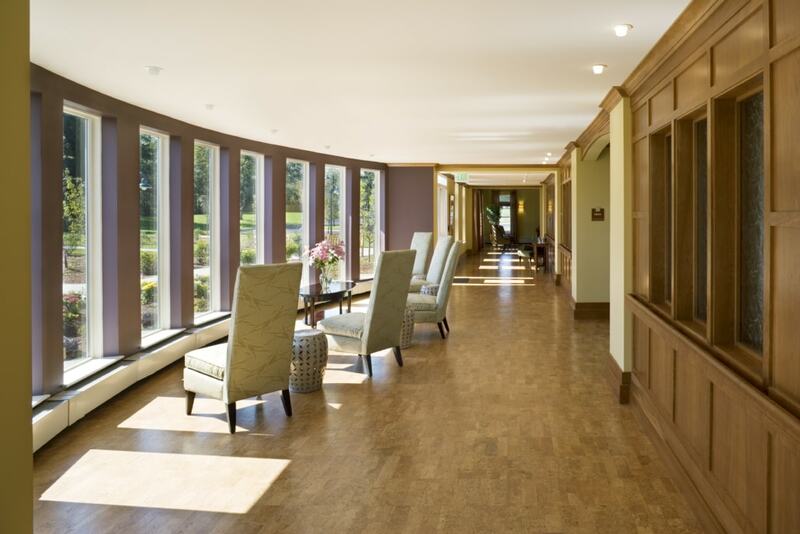 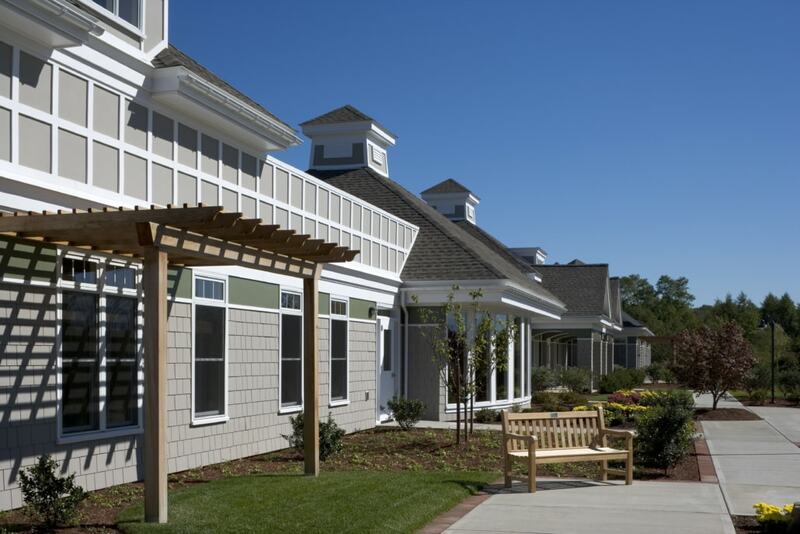 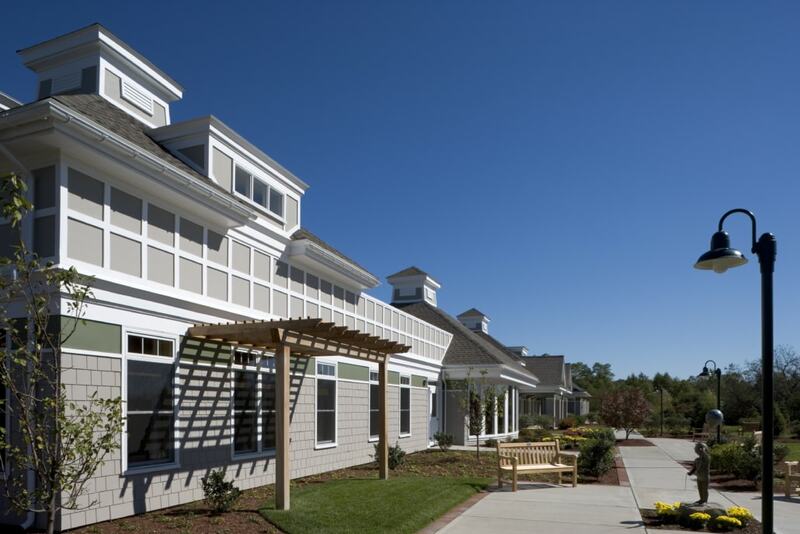 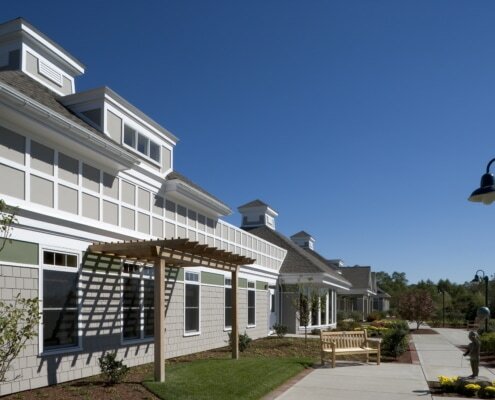 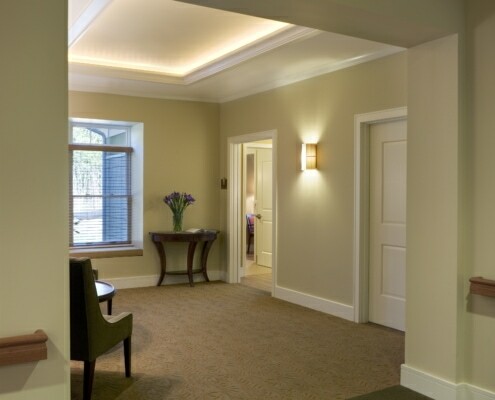 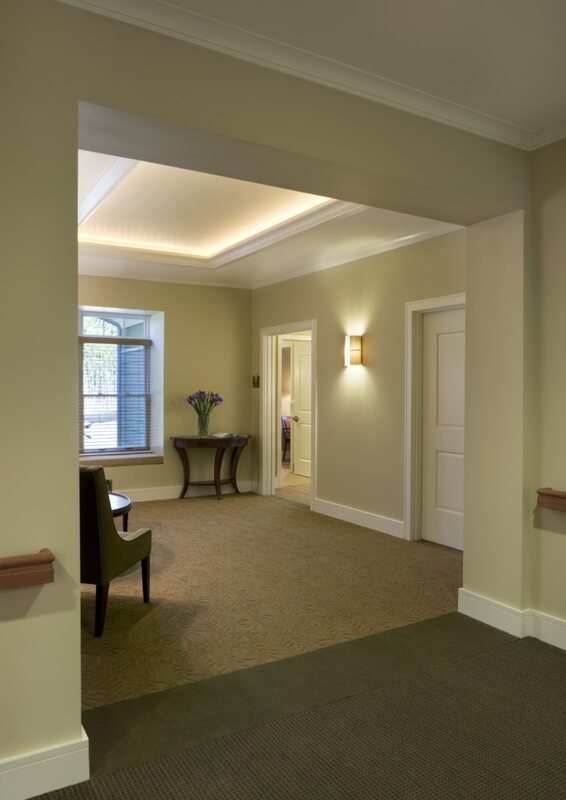 It was the first inpatient hospice licensed in Massachusetts. 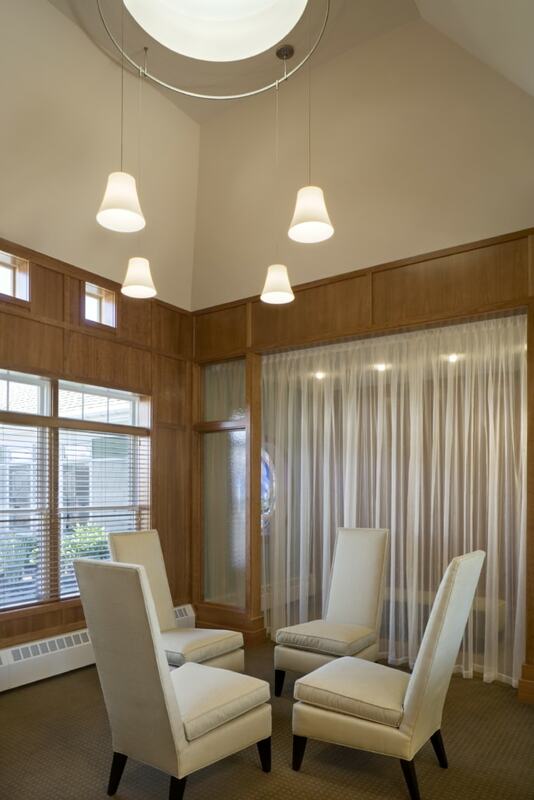 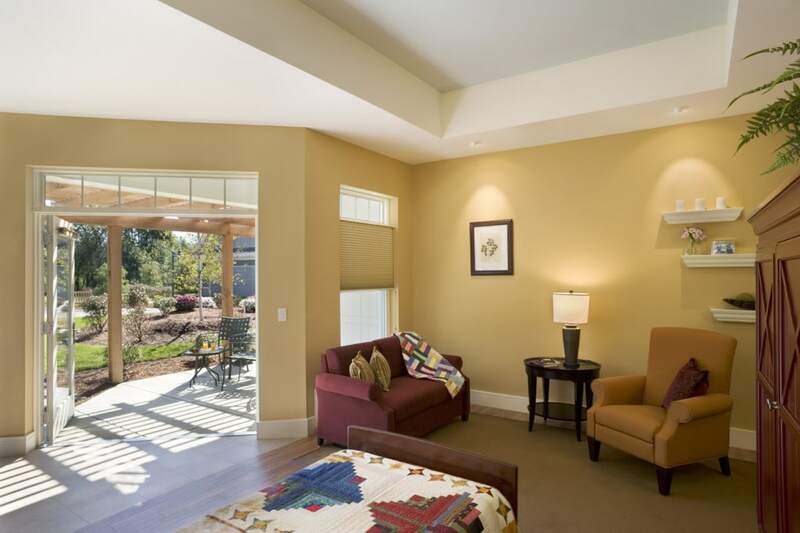 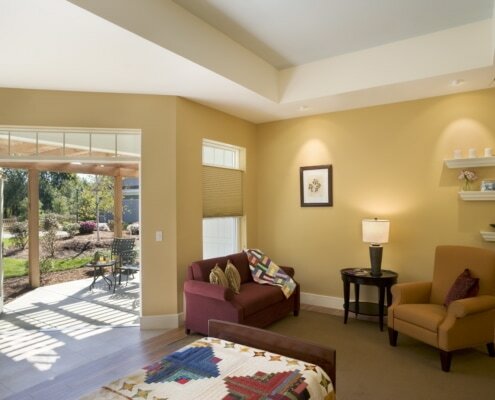 The patient rooms have sunrooms, sitting areas and outdoor patios. 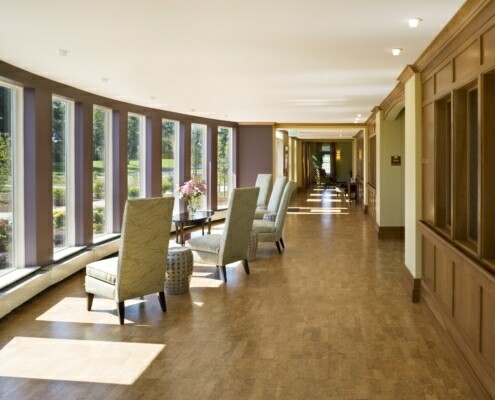 Other amenities include a large communal kitchen and dining room, living rooms, children play areas, a library and a chapel/meditation room overlooking a healing garden in a secluded courtyard. 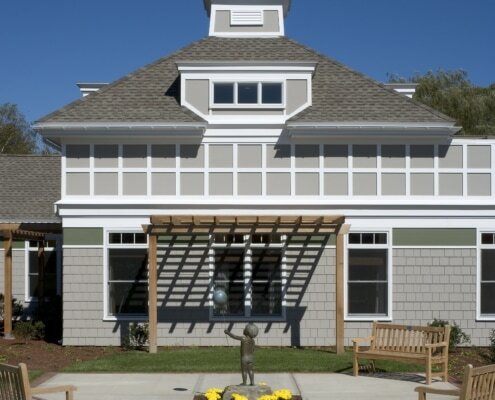 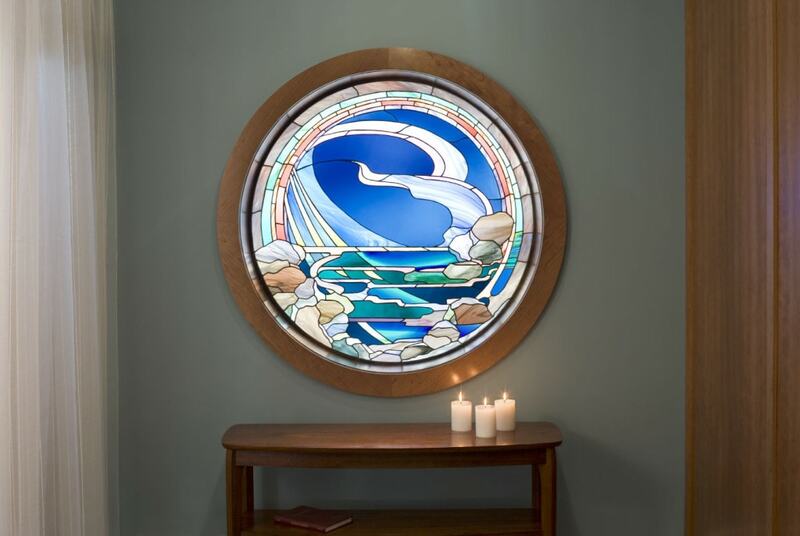 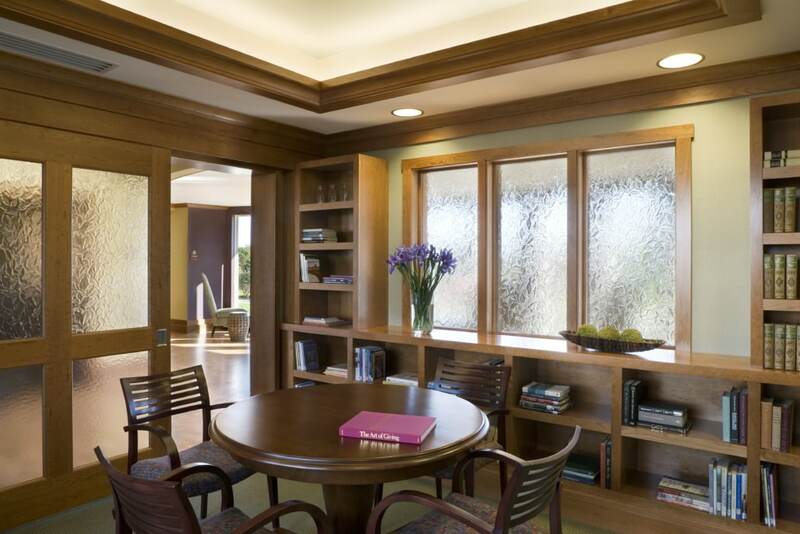 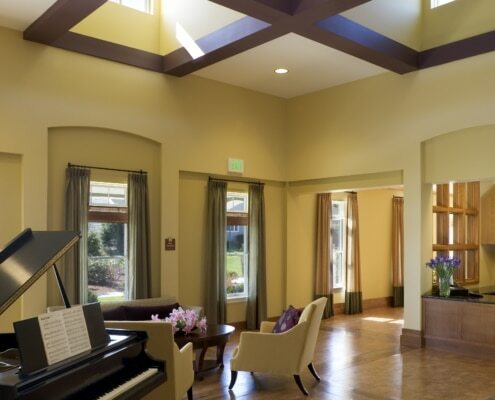 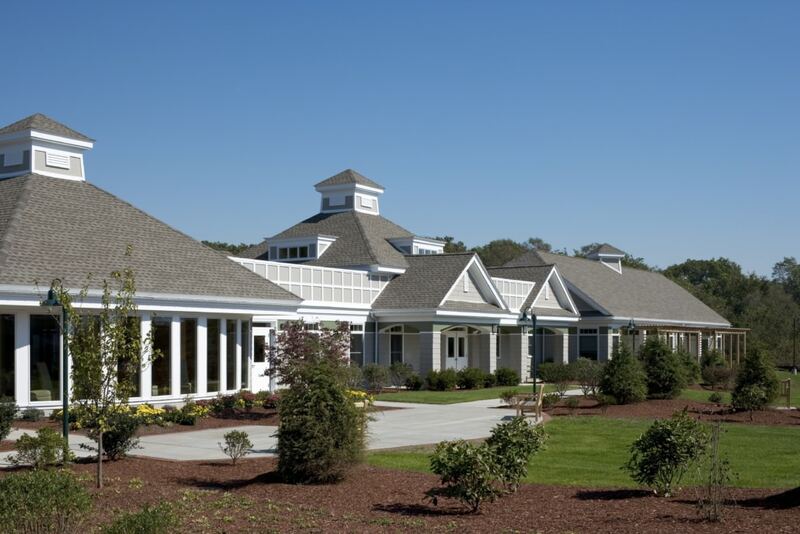 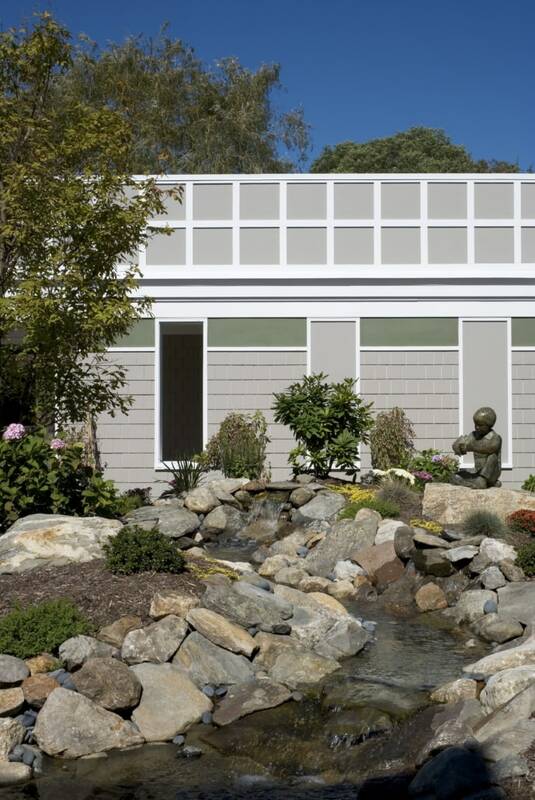 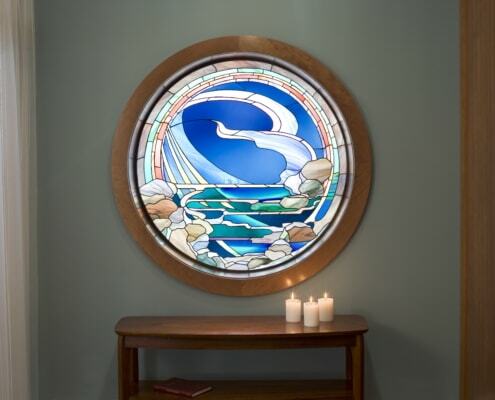 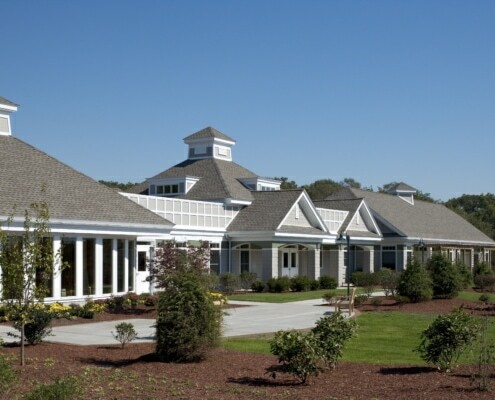 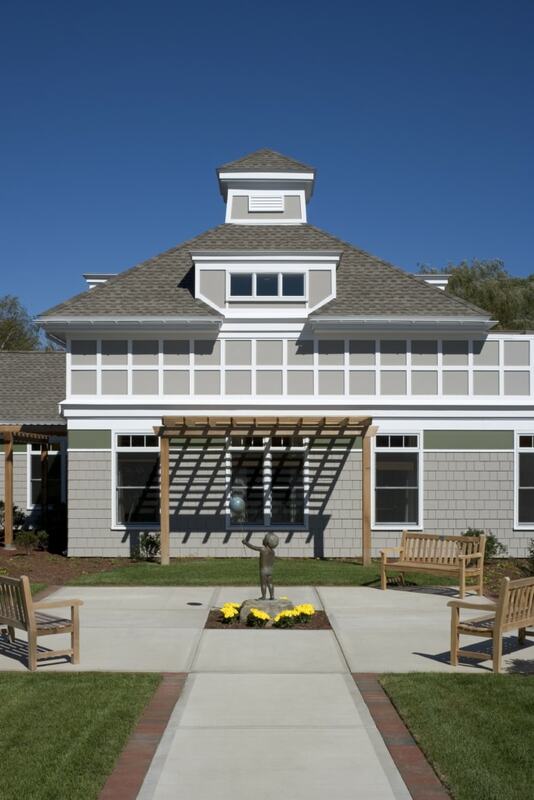 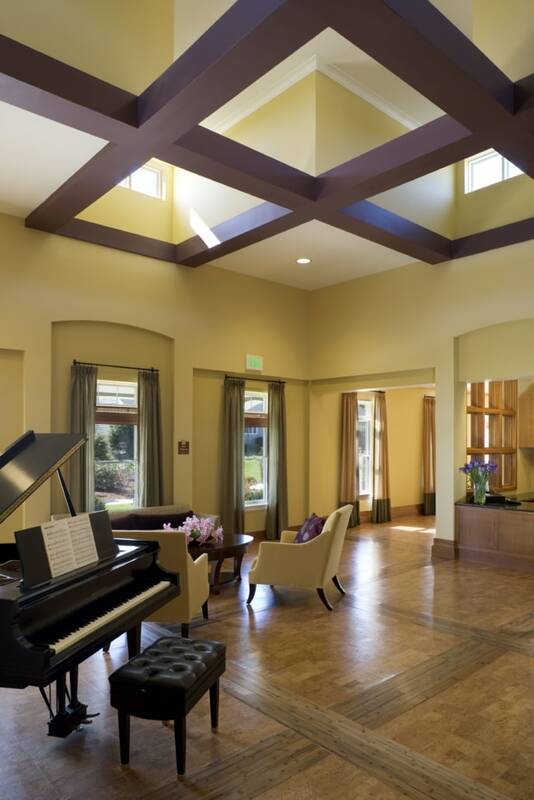 The Hospice House also contains the Center for Grief and Healing where families can receive assistance in dealing with the loss of their loved ones. 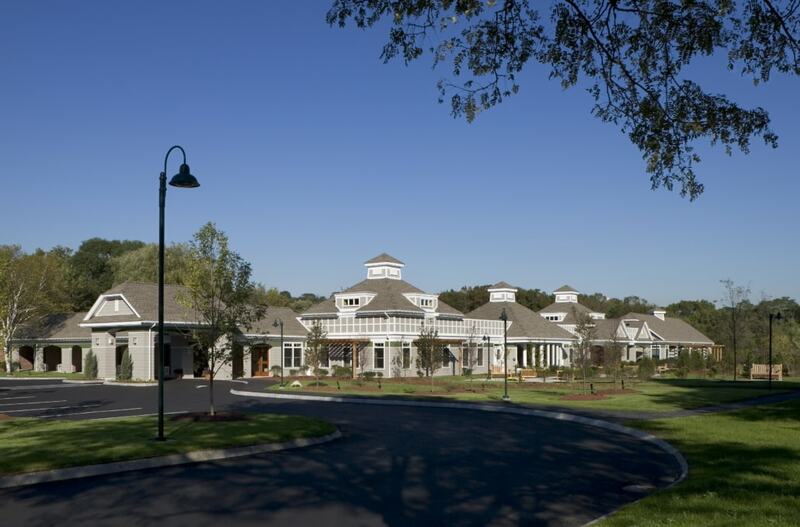 Located in a residential neighborhood, the design is intended to appear as a set of smaller buildings grouped together resembling a small village. 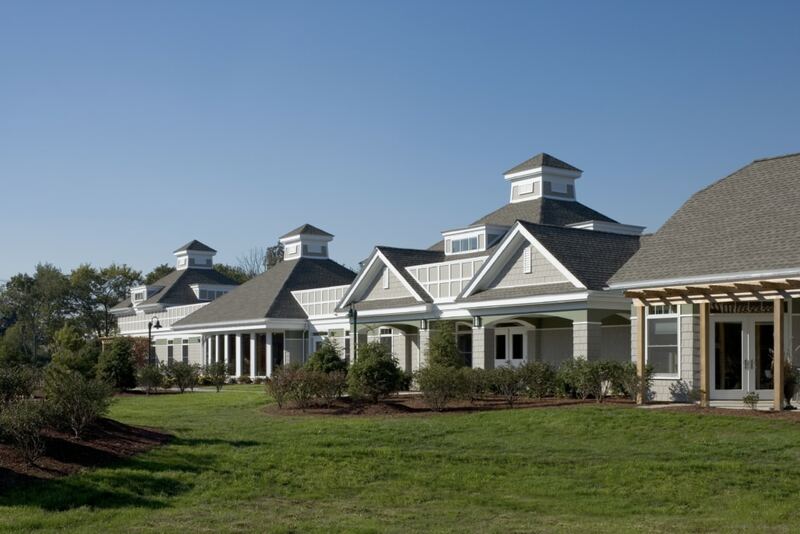 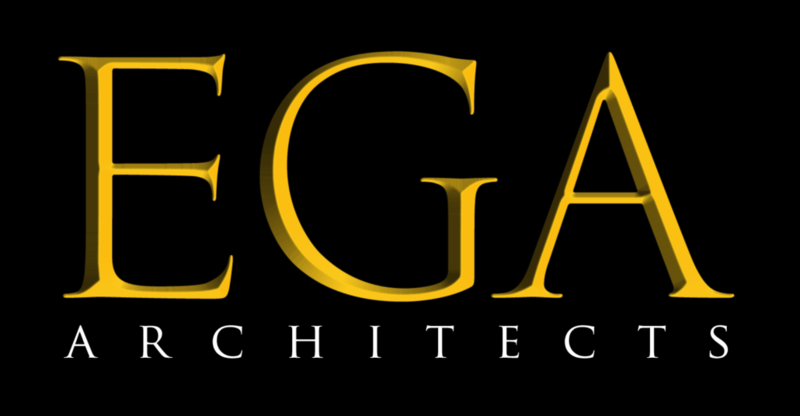 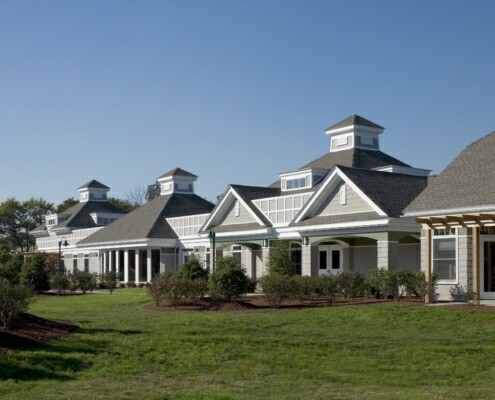 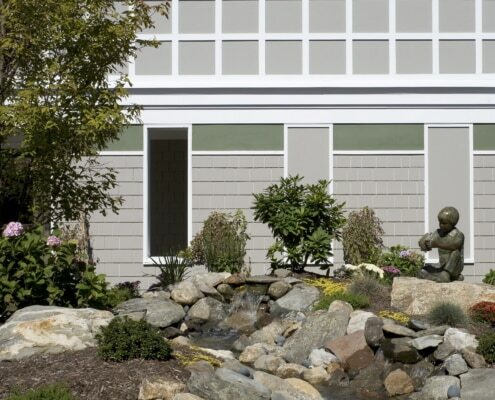 The exterior materials echo those of New England while providing a high degree of durability.